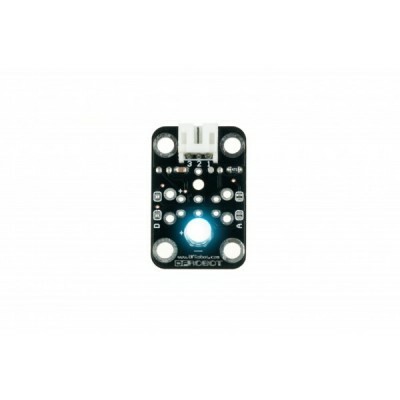 This Blue LED light module has a shiny color. Ideal for Arduino starter. 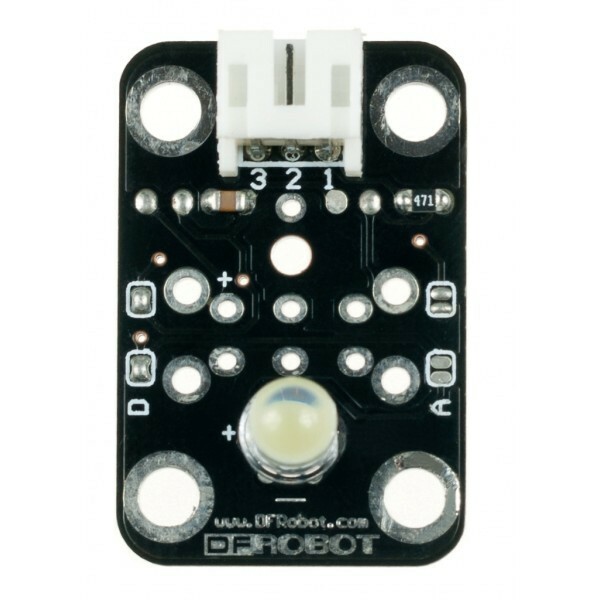 This module can be easily plugged on IO/Sensor expansion shield. Digital Sensor Cable (1 unit) (SKU: FIT0011). NOTE: This LED is wired to light up when the Signal pin is set to low. The reason for this is to prevent the LED from demanding too much current from the microcontroller and damaging the I/O. If you wish to make this LED light up with a logic high, you can switch the Signal wire (Green) with the GND wire (Black) and the Voltage wire (Red) to the Signal wire's original spot. 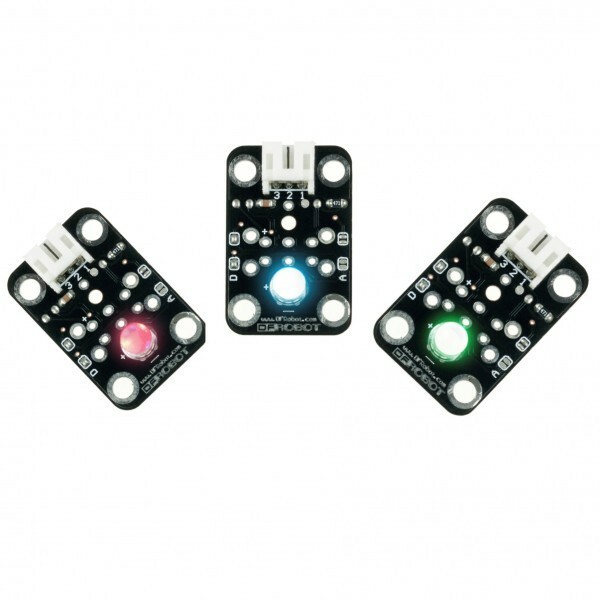 LED light module pin definition : (1) control terminal (2) power supply (3) ground.